A food plot can attract deer and other wildlife to your property and provide supplemental forage during lean periods. Barley, along with other forage crops such as wheat and some grasses, may draw deer in areas where natural food sources are scarce. If you live near farmland, where deer can find plenty of leftover grain and forage material, you may have more difficulty getting deer to visit. Choose the location for your barley food plot. Be sure to place it at least a half mile from your garden plants and fruit trees to prevent deer from eating them instead of the barley. Locate the food plot at least a half mile from public roads to keep deer and drivers safe from each other. Use existing open areas where possible to minimize the time and money you'll need to spend clearing a site for your barley plot. Spread smaller food plots of at least an acre across your property, rather than planting one big one. Deer won't be attracted to food plots outside their home ranges: about 640 acres for bucks and 200 acres for does. Spreading food plots across your property maximizes your chances of attracting deer. Get a soil test kit from your local cooperative extension. This will test the pH and composition of your soil and tell you what soil amendments such as lime or fertilizer you need to add, if any. Place a fence around the barley plot if you have livestock that can access the area. This will keep your farm animals out, but it needs to be a maximum of 4 feet high so fawns will be able to get into the area. Choose which variety of barley you want to plant. The two main types are spring-planted and fall-planted. Spring-planted crops ripen in 60 to 70 days; fall-planted barley will ripen about 60 days after the beginning of spring growth. Till or plow the area and remove any roots, large rocks and other debris so you end up with a smooth bed. Rake or disk the seedbed, broadcast your barley seed over the area and lightly rake again to ensure the seed gets good contact with the soil. Water your barley seed thoroughly just after planting. Water regularly until seedlings emerge and become established. 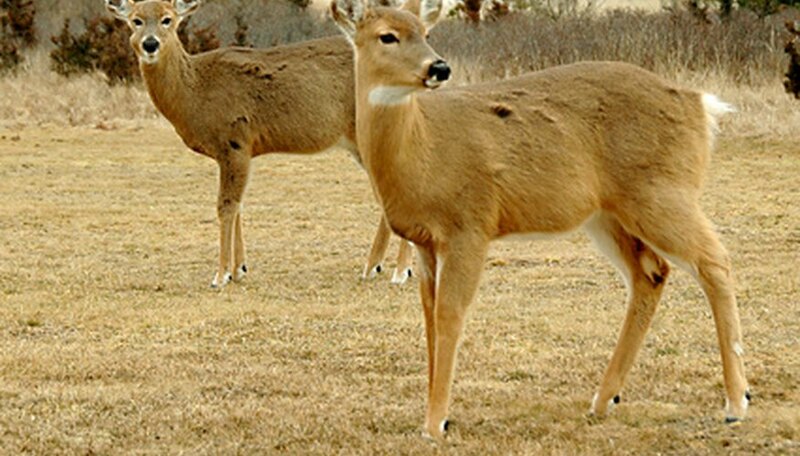 Some areas may consider a deer feed plot to be an illegal baiting practice, and some areas do not allow deer feeding of any kind during certain times. Check your local laws before planting.